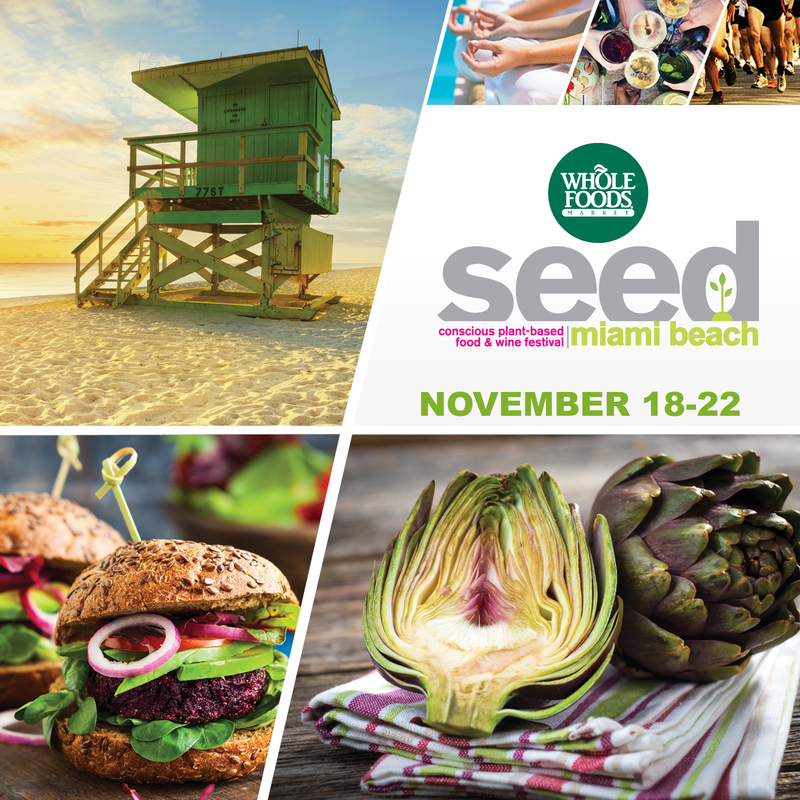 From November 18 through November 22, Seed, sponsored by Whole Foods, brings together the likes of mega-athletes including Brendan Brazier and Rich Roll and vegan culinary greats including Matthew Kenney and Chad Sarno for an over-the-top party of Miami proportions. Seed began as the brainchild of Alison Burgos and Michelle Gaber. Seasoned event promoters who know how to throw epic parties like Miami's LGBT event Aqua Girl, the two didn't know much about vegan. Until recently. Their busy, party-promoting lives meant "go, go, go, bigger, harder, stronger, faster," says Burgos. "I paid the price for that." It landed her in pain, in a wheelchair and diagnosed with rheumatoid arthritis. "Doctors were pumping me through with prescription meds, but the medications weren't doing it." Going vegan -- not her first choice -- did. And it turns out being vegan isn't so bad. "I thought being vegan the rest of my life was going to be like a death sentence. What I've learned is you can go to great restaurants and live a really amazing invigorated, delicious life being living plant-based," says Burgos. "I've gone off three meds and lost 50 pounds." Seed is her way of celebrating. Oh, sure, there are veg fests in DC, Chicago and San Francisco, but this is Miami, a city let us say slow to catch hold of the plant-based wave. Seed offers splashy dinners and artisanal cocktails like our other major food fest, South Beach Wine and Food Festival, but rather than being about bling and beef, Seed is all vegan, and the party comes with positive takeaway. Ramp up your game in the kitchen with Mark Reinfeld, on the court with John Salley and with your kids at an organic gardening workshop. As a Miami native, I'm amazed Burgos and Gaber have made Seed come together in such a big Miami way. As a participant (full disclosure -- I presented at Seed's debut), I'm thrilled. "In Miami, if you really want to move the needle, you don't preach to the choir, you talk to everybody," says Burgos. Offering them veggie burgers doesn't hurt, and that's just Seed's message. "Plant-based living, conscious living can be cool, hip, accessible and delicious. By making small changes -- or large ones -- you can change your health, the health and welfare of animals and change our planet," she says. "That to me is really powerful." Proceeds from Seed benefit not one but three organizations devoted to deepening our connection to where our food comes from, Mercy for Animals, Slow Food Miami and Whole Foods' Whole Kids Foundation. All this and Burgos still considers herself a vegan newbie. "I'm just starting to learn." Seed is a great opportunity to do just that. "What's really cool about Seed is we respect and embrace wherever you are and why you're here," says Burgos. "We're building something we hope will be a real voice in South Florida." 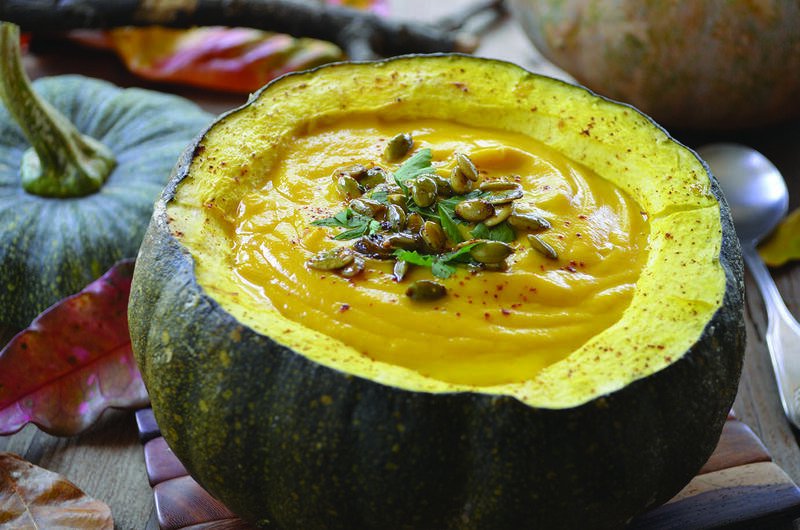 Just in time for Thanksgiving, impress your guests with this golden, rich soup from Mark Reinfeld. Replace the pumpkin with any winter squash, such as butternut, acorn, or buttercup. You can also use an equivalent amount of canned pureed pumpkin.